This unique software allows you to create your own business directory or classifieds website. 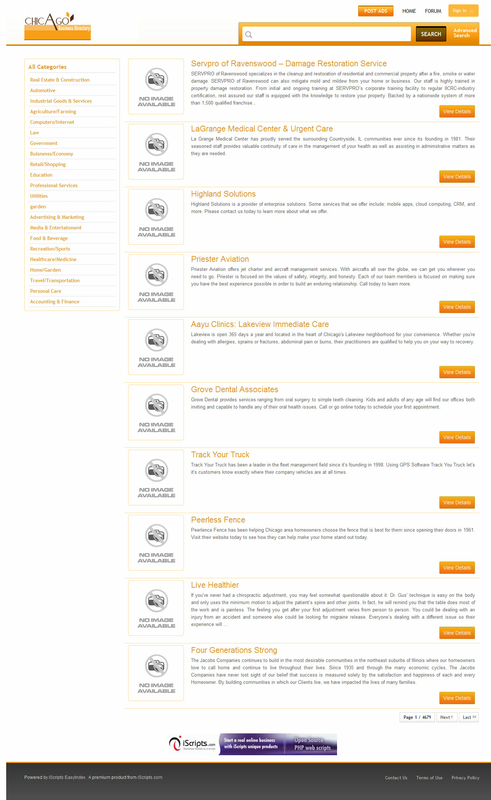 iScripts EasyIndex is flexible enough to use for a variety of business models. Whether you are looking to start a regional or vertical business directory, an industry specific classifieds site or a Craigslist clone, you can employ this open source script for your website idea. Easily build a user-friendly site to connect users or build your own B2B business portal using iScripts EasyIndex. 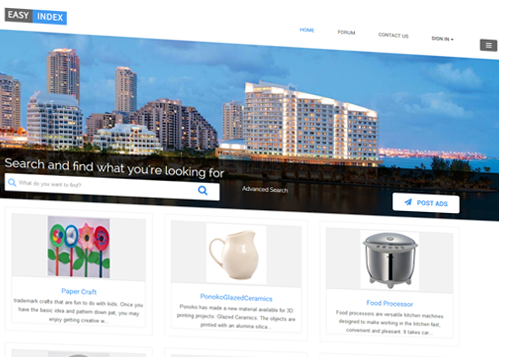 List categories and subcategories of local businesses on your website. When sites are listed on a directory, it makes it easier for them to be recognized by search engines. Your site will help users find the appropriate businesses they are looking for, while also enabling businesses on your site to be noticed and receive more traffic. Charge businesses to feature listings on your site. These businesses will have the ability to create profiles, showcase videos and images, and provide links. 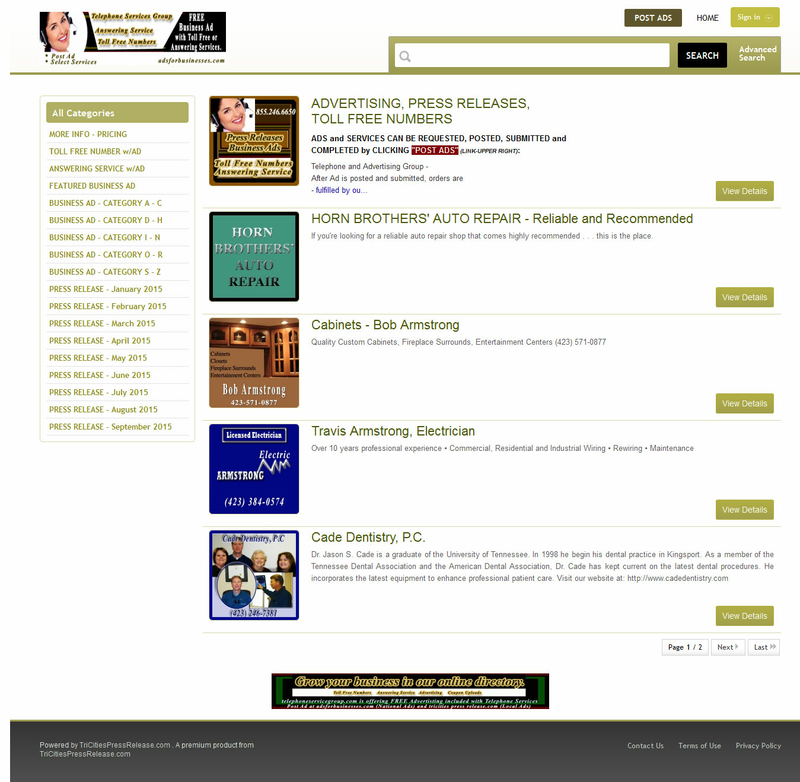 A vertical directory website focuses on one particular category of product or service. These are typically content-rich sites that rank well for certain long-tail keywords. Due to this, businesses that offer a very specific type of product to a niche market may greatly benefit from a listing or ad on a vertical business directory. Charge a fee for their listing and to showcase videos, images, links and more. Similar to Cragslist, OLX or Gumtree or a newspaper, classified sites allow users to post ads for free, or at a fixed price. The iScripts EasyIndex software allows you to charge users to post ads on your website. These ads can be items for sale, notices, job ads, real estates or more. Choose the theme of your site to determine the ad types allowed. You also have the capability to remove ads if you wish to do so. You can also choose whether or not postings are listed automatically, approved via email, or manually approved by the site administrator. As a professional, yet easy to use software, iScripts EasyIndex gives you the capability to create a fast, flexible and user-friendly business directory. This is the best choice for large and loaded business directories, as well as small and medium directories. Developed as a standalone solution, the script supports all common features of directory sites such as listings, reviews, products, services, inquiries, forums, banners and logos. The script also supports Google Maps as well as "Sign in with Facebook" functionality. You also have the ability to set your site to run as a free or a paid service by incorporating an assortment of plans. After your one-time purchase, the script can be installed on your server. From that point, you have complete control over the script and your site as the site administrator. This is an open source script without code encryption which means you may customize the site at any time in order to fit specific site needs. 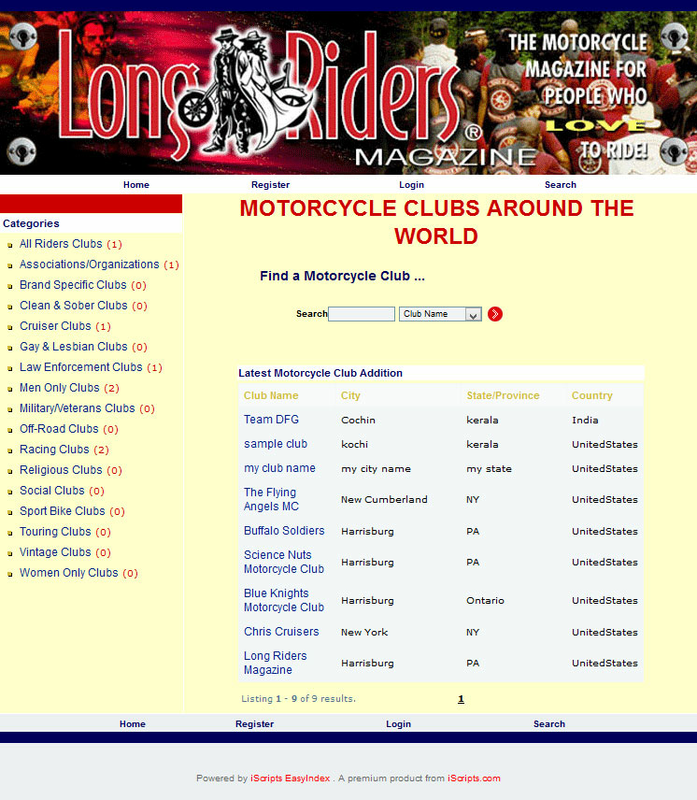 Integrate the iScripts EasyIndex script into an existing site or create a standalone full-featured business directory portal similar to Business.com, YellowPages.com or a classifieds site like Craigslist.com or Gumtree.com. The software has built in business models so that you can clone the operations of successful classifieds or business directory websites. Before starting your website, you should use keywords to research specific niche markets and your competition. Once you have created your domain and website, it is time to contact businesses and advertisers. Gain businesses to your site by being proactive and focusing on the benefits of being listed. Registered users and businesses will have their own login to manage ads and posts. Once you have businesses listed on your site, it will be up to you to market the online directory or classifieds website in order to drive traffic. The more traffic your site has, the more potential money you will receive from advertisers. After installing the iScripts EasyIndex software, you will use the administrator login to add your logo and brand your website. Add your own text to the software using the built-in content management system. There are a number of site templates for you to choose from. If you feel that your directory or classifieds site would be better represented using a different design, or if you would like to change the website functionality, contact our team to make these changes. You can also use a PHP programmer of your own to edit the software's source code at any time. iScripts EasyIndex is a comprehensive software package that supplies you with a range of options for managing your site while generating revenue. Choose to build a local/niche business directory site or a classifieds website. Have complete control over your site by efficiently managing users, plans, listings and ads from the Administrator Panel. The site can be operated as a free service or a paid service to businesses. Generate revenue by charging users to post ads, products, services or listings. You can also run the site for free if you choose. Reduce the amount of time and cost required to set up and operate a professional business directory or classifieds site. Your site already includes impressive features such as Google Maps, search functionality, Google AdSense, Facebook plugins, a user rating system and payment gateways.